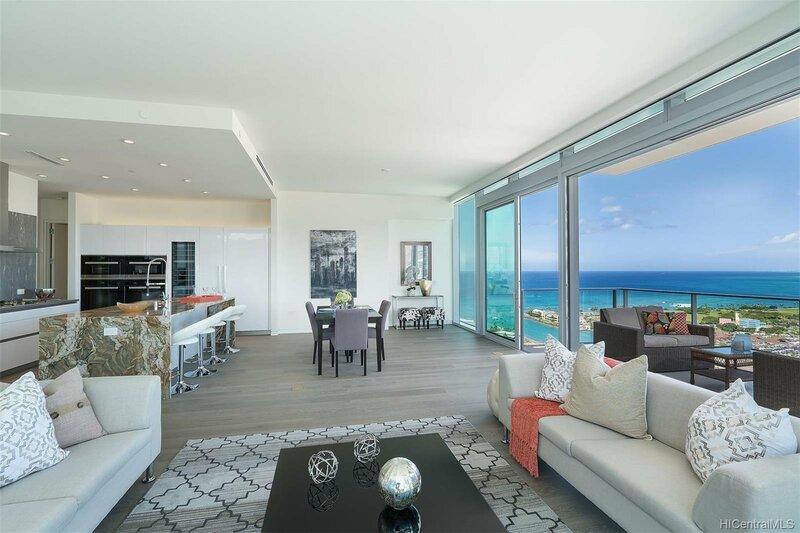 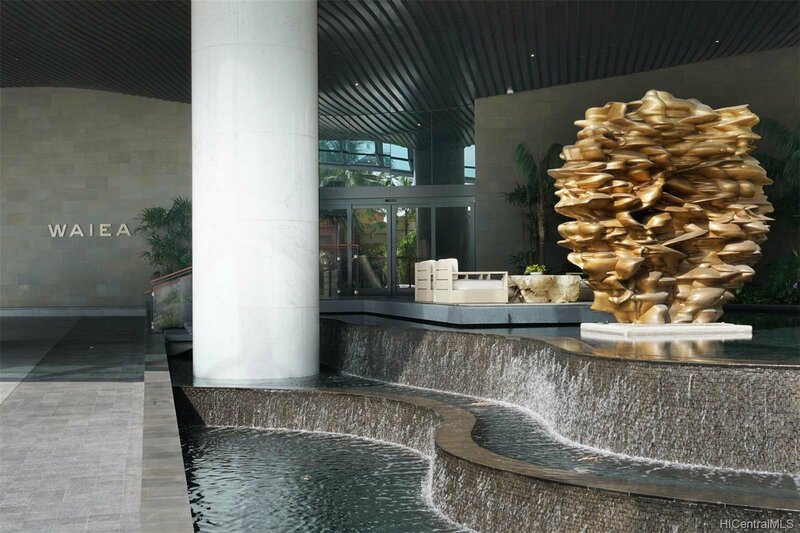 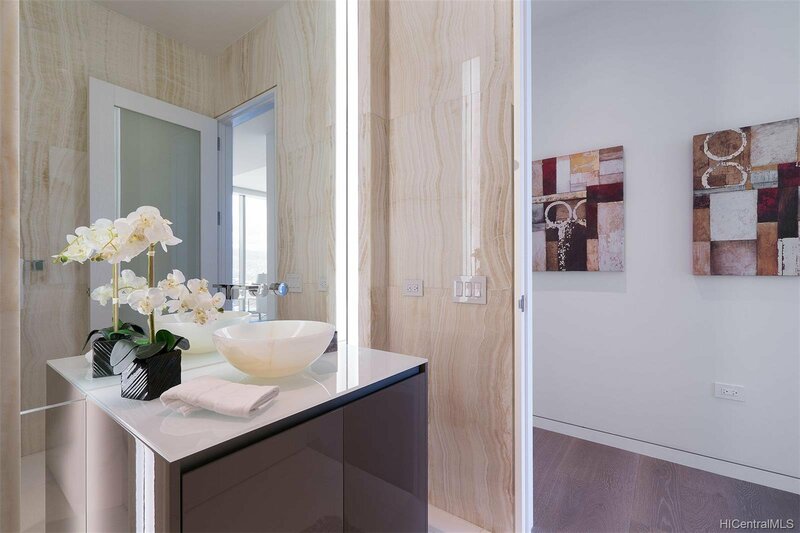 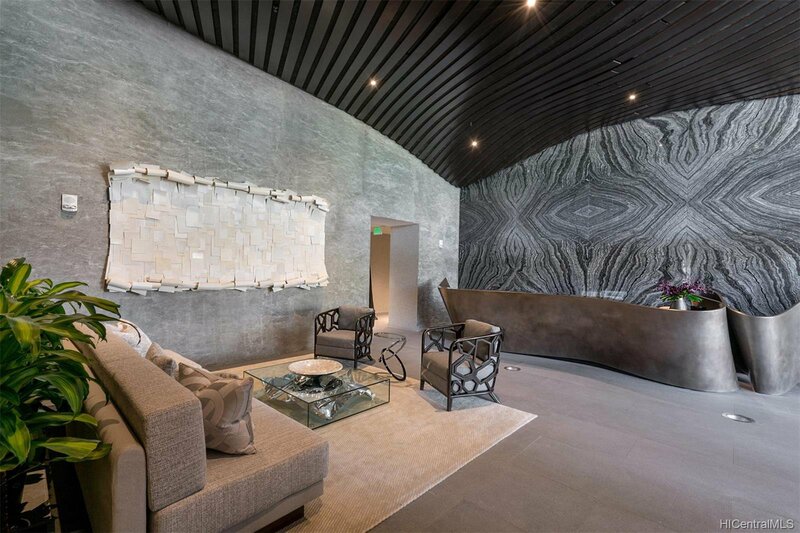 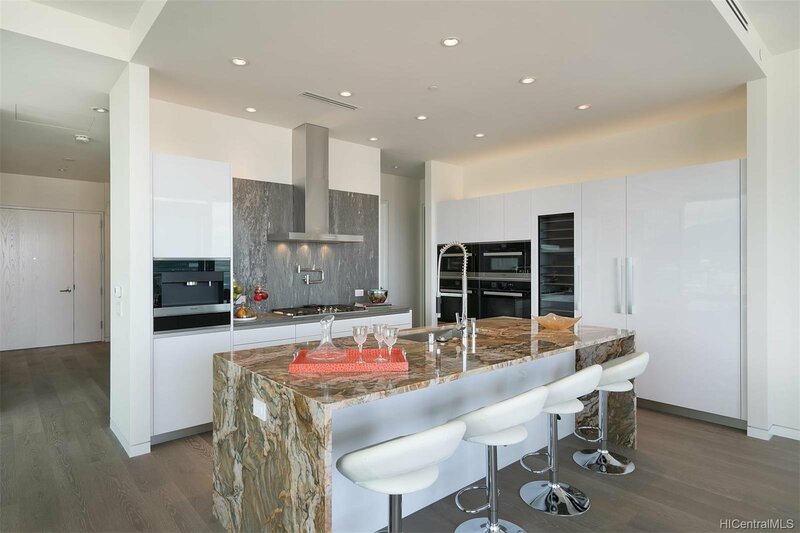 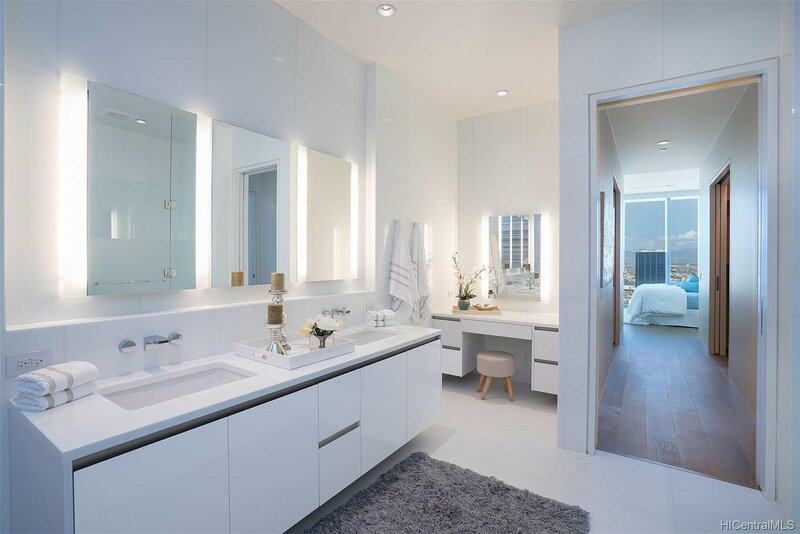 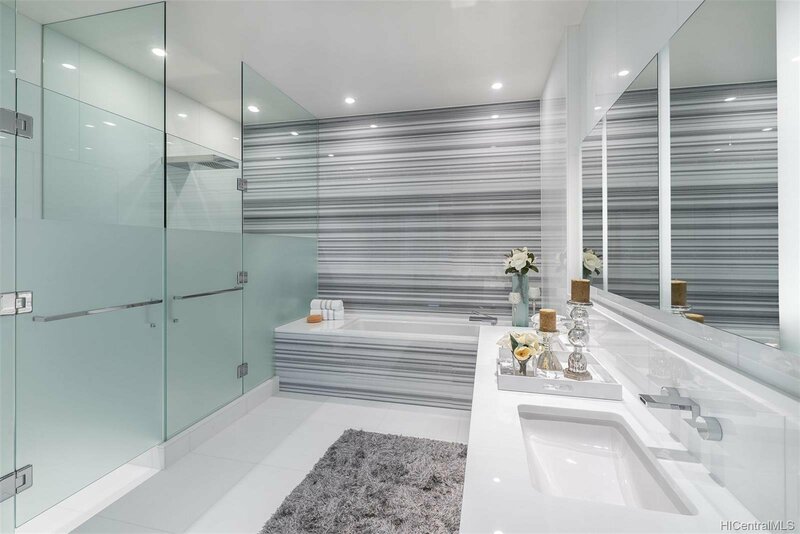 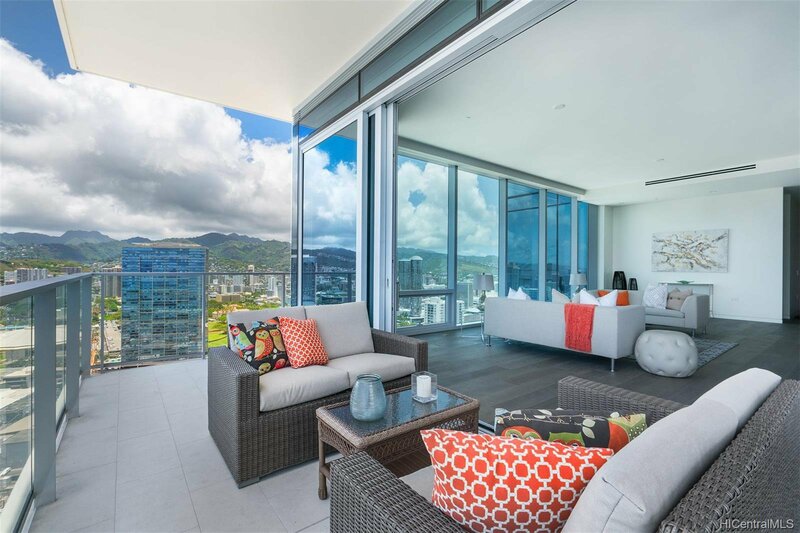 Waiea is a masterpiece created by the world-renowned architect, James K.M.Cheng in collaboration with one of America’s iconic interior designers, Tony Ingrao. 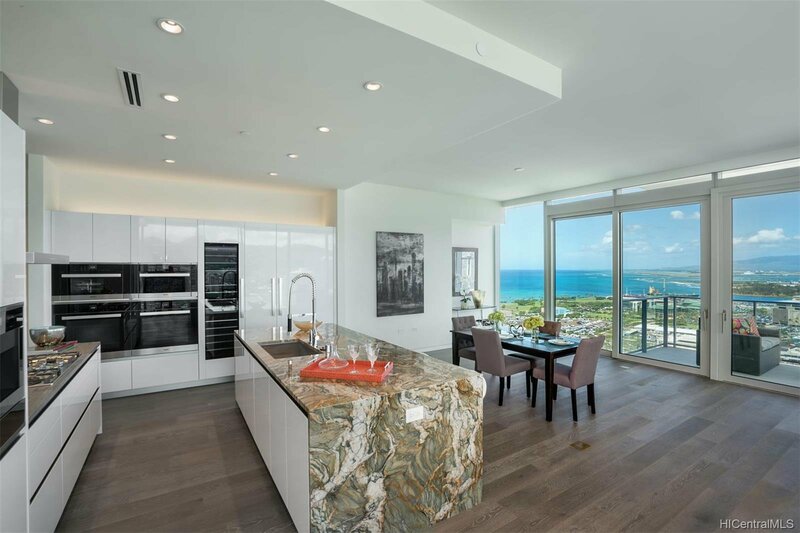 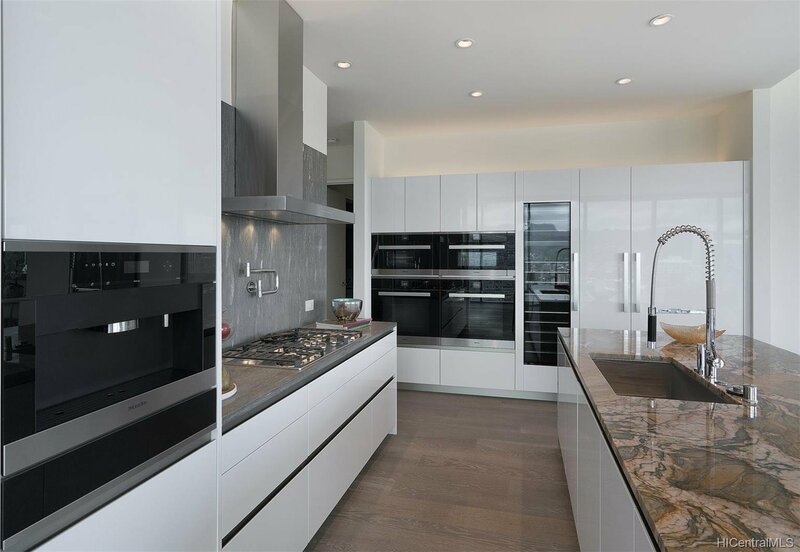 Penthouse features upgrades for the kitchen, countertops, backsplash, all appliances, and stone finish in the master bathroom. 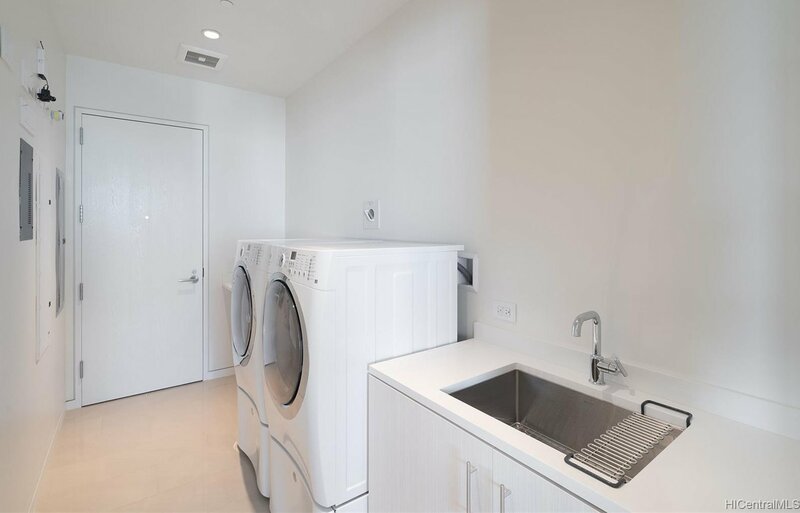 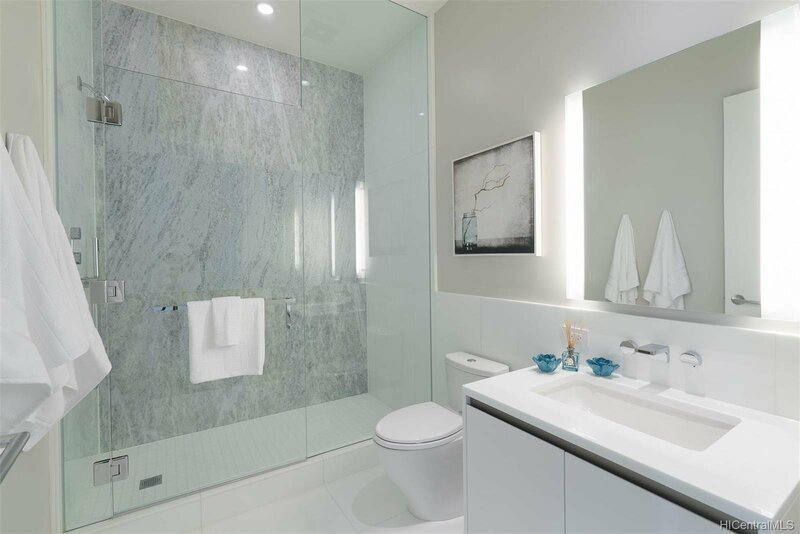 This penthouse unit has main entry door with own foyer and also private service entry door in the laundry room. 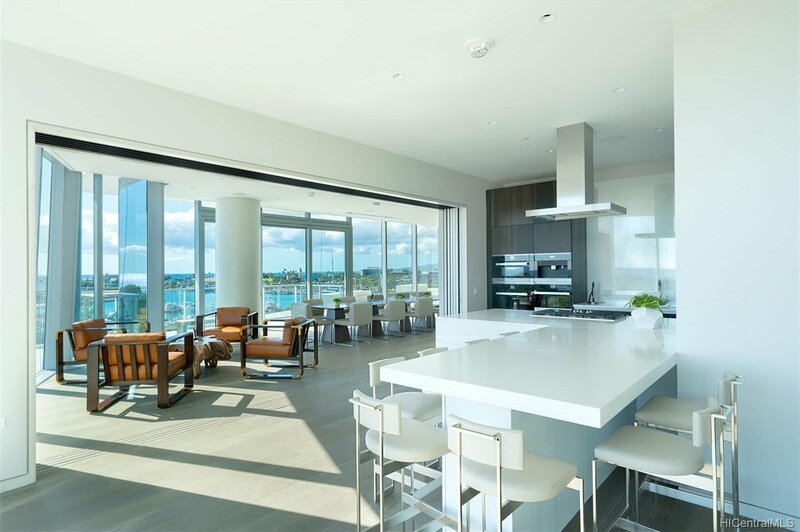 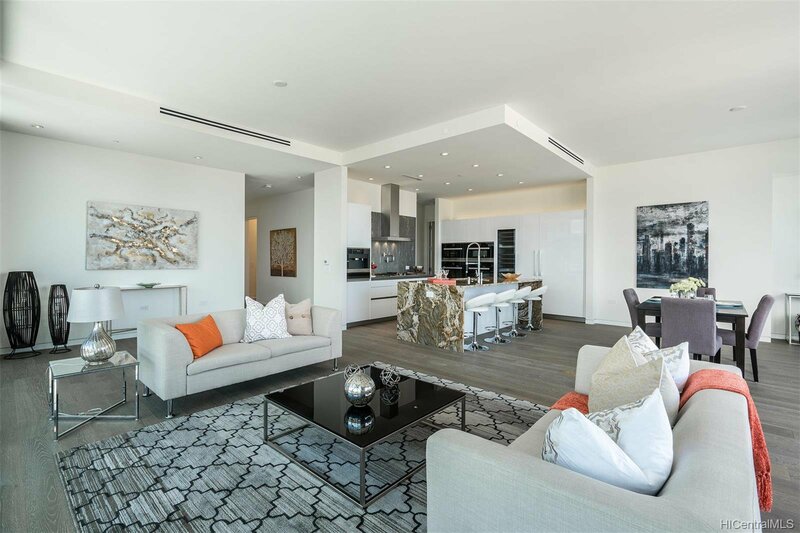 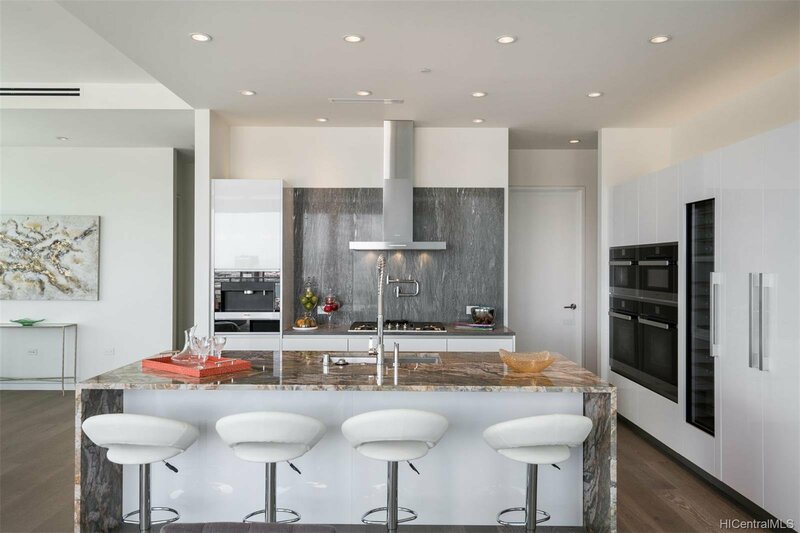 10.5-foot ceiling heights boast its grand feeling of penthouse unit. 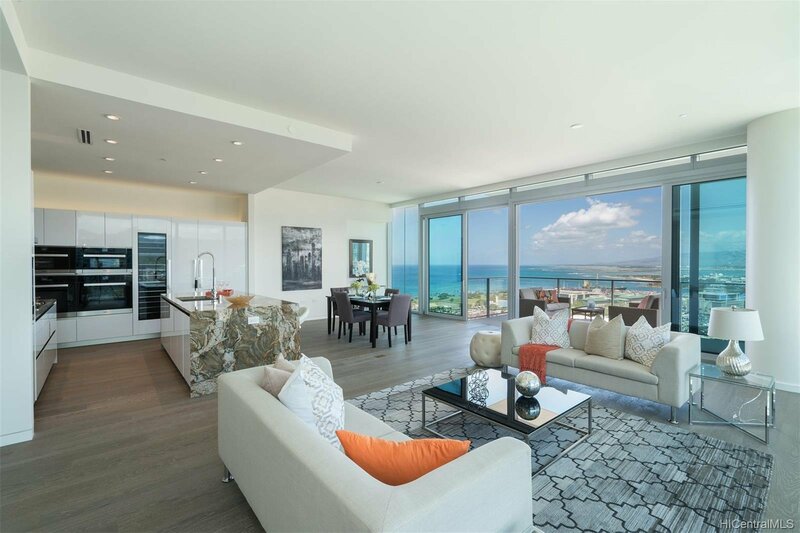 Stunning Ocean and Sunset views from master suite and living room with a spacious lanai. 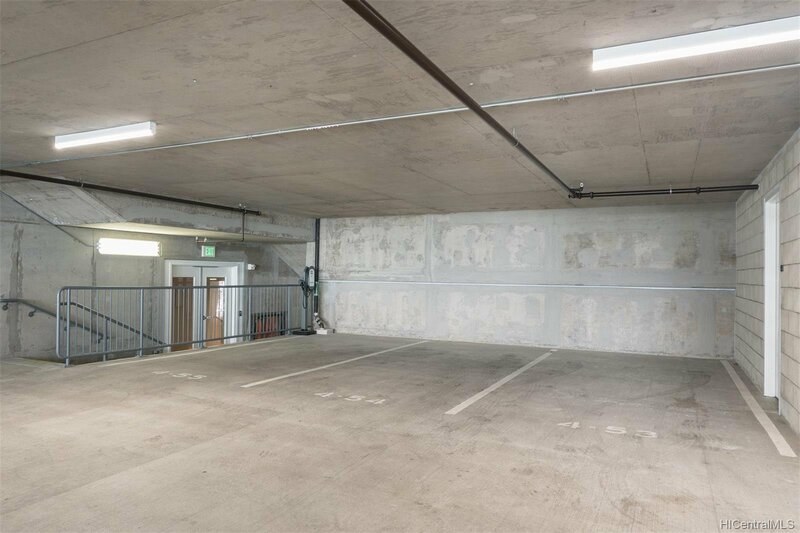 Storage room is included and conveniently located in parking stalls. 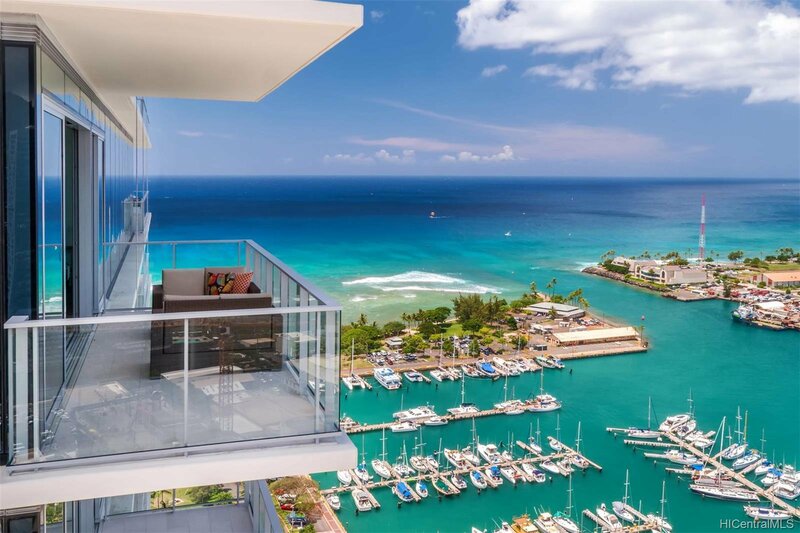 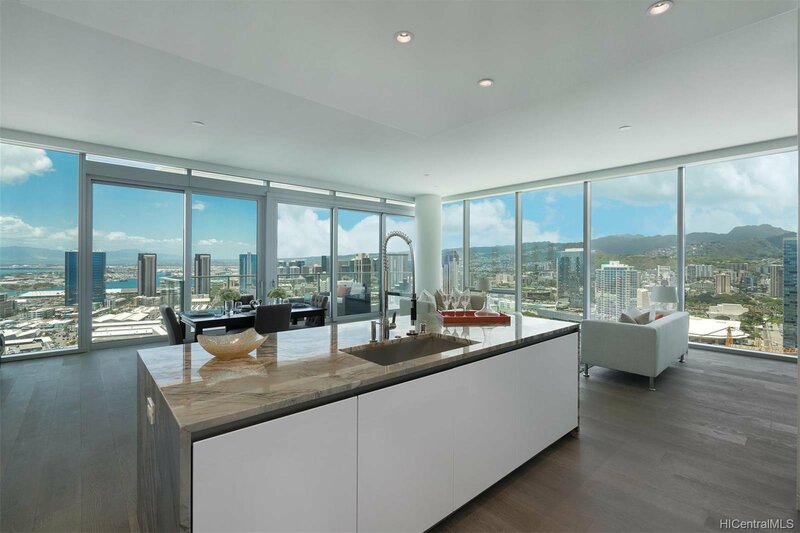 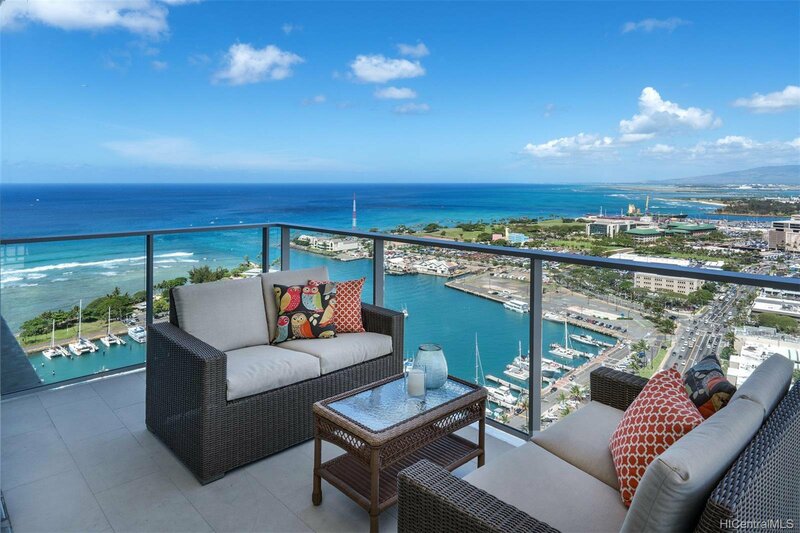 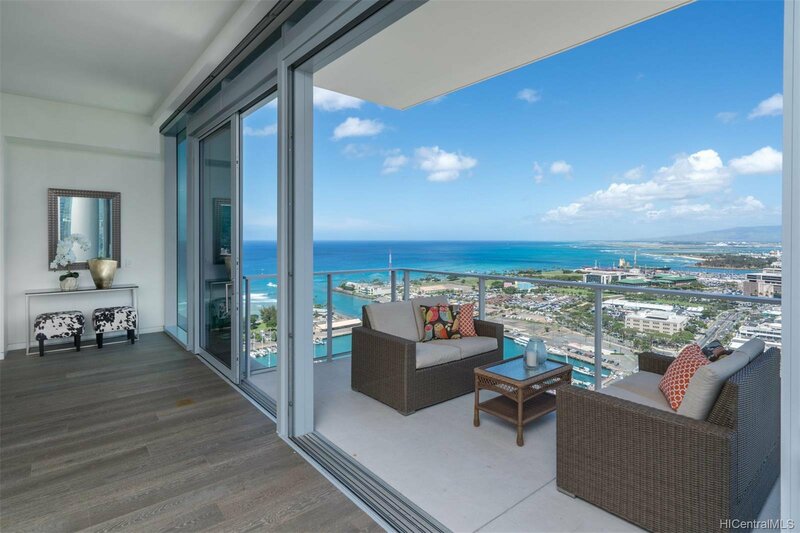 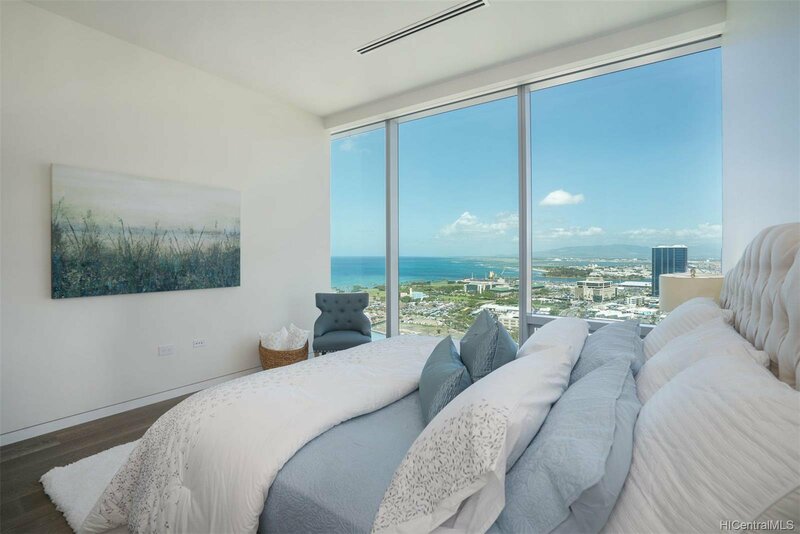 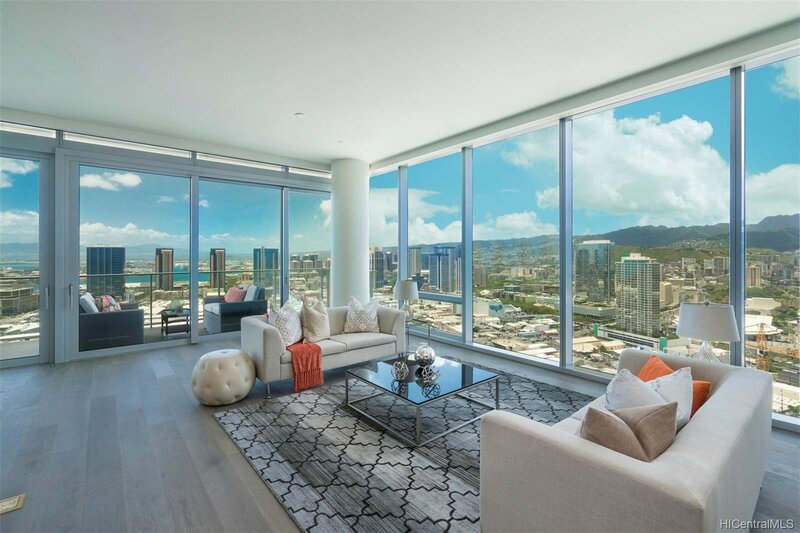 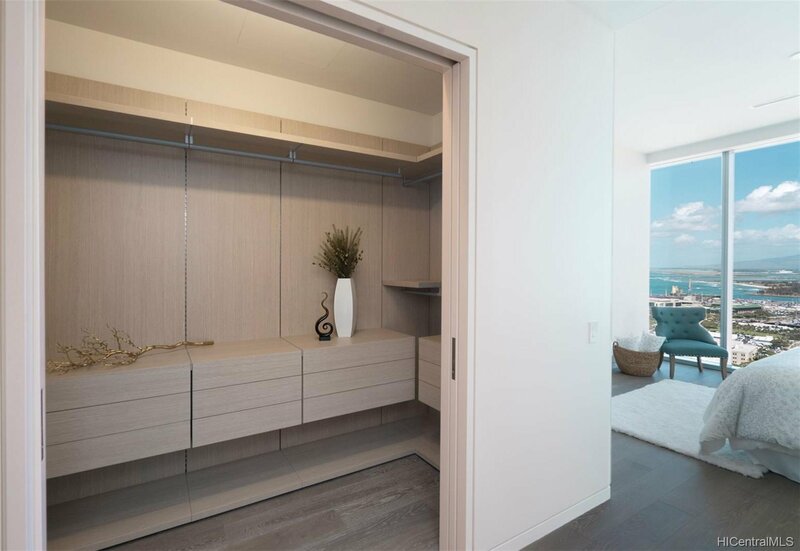 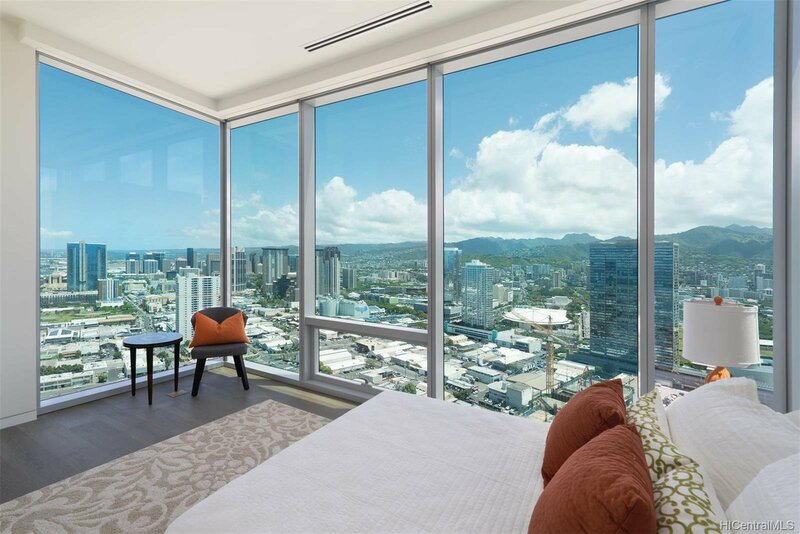 Waiea in Ward Village is ideally situated between downtown Honolulu to the west and world renowned Ala Moana Center and Waikiki to the East.